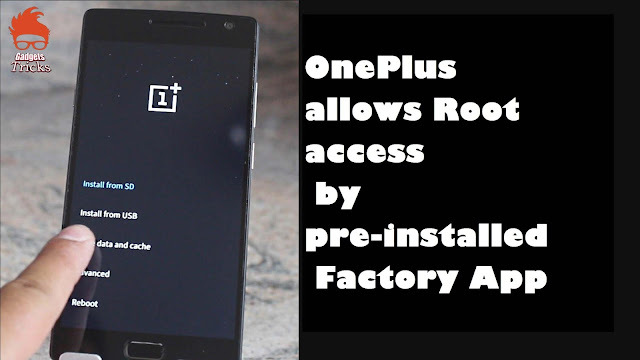 Elliot Anderson is a mobile security researcher found a pre-installed factory app in all OnePlus devices running OxygenOS that could enable anyone to gain root access to the devices. OnePlus devices come preinstalled with an app called EngineerMode that can be used to root the device and may be turned into a completely-fledged backdoor by smart attackers. EngineerMode is a diagnostic testing app created by Qualcomm for device manufacturers to quickly test all hardware elements of the device. It can make a series of intrusive hardware diagnosis tests, but can also check for root status, diagnose the GPS function, and more. Anyone can check if this app is installed on the OnePlus device or not by going to settings, open apps, enable show system apps from top right corner menu (three dots) and search for EngineerMode.APK in the apps list.